Newsarama has a preview of Star Wars #42. Nerdist has an article on how Yoda was rebuilt for The Last Jedi. StarWars.com has an article on the aliens of Canto Bight. IGN asked Rian Johnson why Luke had a blue lightsaber. Endor Express has an interview with The Last Jedi creature designer Neal Scanlan. 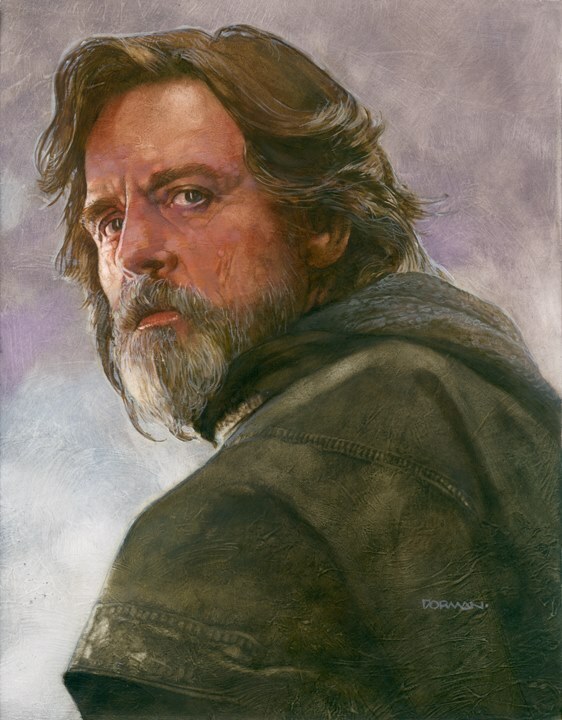 Dave Dorman did a pretty awesome painting of Luke from The Last Jedi. Master and Apprentice actually posted a pretty cool video of them making some custom lightsabers out of some off the shelf toys. The Star Wars YouTube channel has an awesome secrets explained video for The Last Jedi. Outside of Star Wars, Emilio Estevez is returning to the big screen with The Public. No release date yet. Sideshow pre-orders are up for the Premium Format Stormtrooper. The exclusive edition includes swappable Han Solo head. Kaijuaddicts has a look at the upcoming Star Wars holochess figures being made by X-Plus. Pre-orders are up at Best Buy for The Last Jedi SteelBook. StarWars.com has revealed details on the latest Star Wars mobile game Star Wars: Rivals.